Plus, Goldman Sachs foresees $300 billion in transportation infrastructure projects. Thursday ASEAN links. 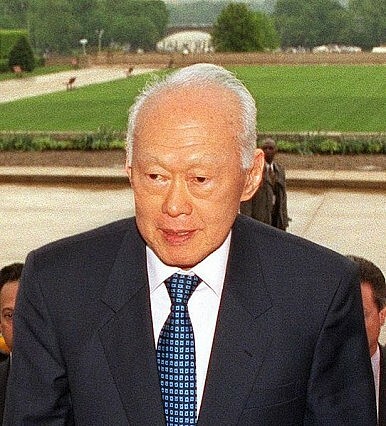 The founding father of Singapore, Lee Kuan Yew, compares Xi Jinping to Nelson Mandela in his new book. Lee, who will turn 90 years old next month, said of the Chinese president: “He struck me as a man of great breadth. I would put him in the Nelson Mandela class of persons.” The former prime minister’s book, released yesterday, is titled One Man’s View of the World. Many attribute Singapore’s economic success to Lee’s strict oversight. Indonesia is also reeling from the bombing of a Buddhist school on Sunday night. Witnesses claimed to hear two separate explosions at the Ekayana Buddhist Vihara in western Jakarta. Three people were injured. Buddhists account for less than one percent of Indonesia’s population – nearly 90 percent of which is Muslim. The head of Indonesia’s National Intelligence Agency, Lt. Gen. Marciano Norman, claimed that the bombing could have been initiated by Rohingya Muslims, a group who faces persecution at the hands of Buddhists in Myanmar. “I think the perpetrators were just aiming to make a mess here. They tried to provoke Buddhists and Muslims,” Norman said in an interview with The Jakarta Post. Six blasts also rocked Mindano in the Philippines yesterday, just two days after eight people were killed and 40 were injured in a separate car bomb attack in Cotabato City. The blasts have been attributed to the Bangsamoro Islamic Freedom Fighters. The region is also struggling through power outages caused by extensive flooding. Wednesday’s bombing wounded seven members of the Philippine armed forces, but no deaths have been reported. According to The Manila Standard, a United Nationalist Alliance official said that the bombings, blackouts and flooding resulted in three national conventions slated to be hosted this year by Mindanao having been cancelled. A terrorist attack in the country's restive south is believed to be the work of Islamic State-linked militants.